After leisure breakfast at the hotel, proceed to discover the city of old Delhi visiting India’s largest mosque, built by Shah Jahan. Ride a cycle rickshaw from the Jama Masjid through the lanes and by-lanes of Chandi Chawk, the heart of Old Delhi. Experience the life in this part of Old Delhi, which is always on the move. Visit the spice market, food street etc. The ride will culminate at the historic Red Fort - Shah Jahan’s elegant citadel in red sandstone, built in the 17th century AD. Visit the Red Fort (Monday closed) from outside as you will visit Agra Fort in Agra, which is same as that of Red Fort and is also built by the same Mughal Emperor. The morning tour of Old Delhi will conclude at Raj Ghat, the memorial to the Father of the Nation, Mahatma Gandhi. Later in the afternoon, explore the city of New Delhi visiting the tomb of Humayun built in 16th century AD, a magnificent structure in red sand stone and white marble, a fine example of a garden tomb and a precursor of the Taj Mahal. Drive to the Qutab Minar, a Tower of Victory started by Qutabuddin Aibak of the Slave Dynasty which ruled over Delhi in the 12th century and completed by his successors. Within the courtyard of the adjoining Quwwat-ul-Islam mosque stands the famous Iron Pillar, dating back to the 4th century AD which bears Sanskrit inscription. The pillar has puzzled scientists, as its iron has not rusted through the past centuries. Drive along the Rajpath towards the residence of the President of the Republic of India, Rashtrapathi Bhawan which is flanked by the houses of the Parliament and the Government Secretariat buildings. Also visit India Gate before transferring back to the hotel. Overnight in Delhi. After leisure breakfast at the hotel, transfer to Jaipur by car (260 Kms / 6 hrs drive). Arrive in Jaipur and check-in at hotel. 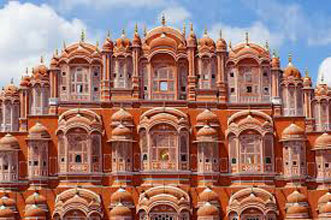 Jaipur - the capital of Rajasthan is colour washed pink - the colour associated with auspiciousness and Rajput hospitality. This Pink City of fairy tale palaces, rugged fortresses perched on barren hills, and a city of broad avenues is picturesque. 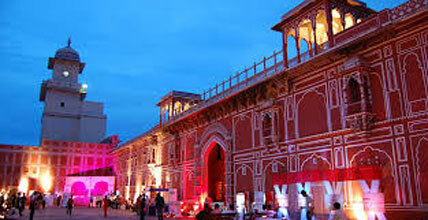 The first planned city of its time, Jaipur is encircled by a formidable wall. Rest of the day free at leisure. Overnight in Jaipur. 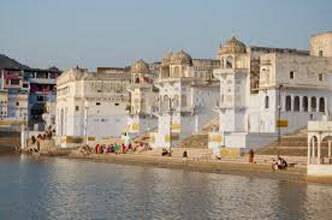 After leisure breakfast at the hotel, proceed for an excursion to Amber Fort & places. Drive past the Hawa Mahal, known popularly as the Palace of Winds, a facade built in the 19th century AD to enable the ladies of the Royal family to watch the happenings on the street from the decorated windows of this facade. 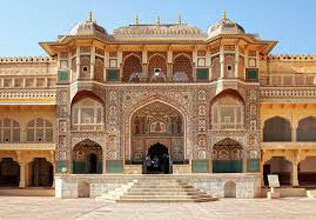 Visit the Amber Fort, the capital of the erstwhile state of Jaipur until 1728. Perched on a hill it has the halls of Public and Private audience, a Sheesh Mahal (hall of mirrors) and various marble palaces which are marvelous examples of medieval Rajput art and architecture. Visit the Temple of Amba (Mother Goddess), the patron deity of the Royal family, at the entrance to the Fort & also enjoy short Elephant ride to ascend the hill on which the fort is situated. After early breakfast at the hotel, transfer to Sawai Madhopur by car (150 Kms / 3 ½ hrs drive). On arrival, check-in at hotel. Ranthambore National Park is considered to be the countries best for observing and photographing the activities of the tiger. The park, covering an area of 392 sq. km. is home to more than 300 species of birds. 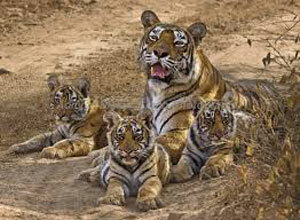 The tiger, hyena, rate, jackal and fox are among those constituting the carnivorous population here. Sawai Madhopur is known for its exclusive toys, ethnic ornaments and costumes. After lunch at the hotel, proceed for a jeep (sharing basis) safari through Ranthambhore N Park along with an English speaking naturalist. Early morning: Visit Ranthambhore National park by open jeep on sharing basis along with an English speaking naturalist. After breakfast at the hotel, transfer to Agra en-route visiting Fatehpur Sikri by car (200 kms / 5-6 hrs drive including visit). Fatehpur Sikri-the exquisite city built by Akbar the Great in 1569, in red sandstone, with its forts, palaces and mosques, and abandoned 14 years after its creation due to political reasons. Diwan-i-am - vast courtyard in which the emperor gave daily public audience, Diwan-i-khas - a large quadrangle where all the major functions of the palace took place, Pachisi court, the emperor’s private living quarters, are some of the important buildings of this residential complex. On arrival in Agra, check-in at the hotel. 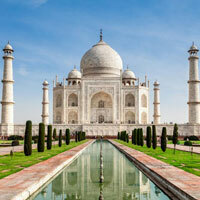 Agra is famous as the home to one of the Seven Wonders of the World, the Taj Mahal. The architectural splendor of the mausoleums, the fort and the palaces in Agra are a vivid reminder of the opulence of the legendary Mughal Empire. Agra was their capital for nearly a hundred years from 1564. After leisure breakfast at the hotel, proceed to visit Agra Fort & Taj Mahal. The Agra Fort was built by three Mughal Emperors, Akbar the Great, his son Jahangir and grandson Shah Jahan in succession. Started in 1565 AD, the fort is a masterpiece of design and construction. Within the fort are a number of exquisite buildings including Jahangir’s Palace, Khaas Mahal, Sheesh Mahal, Diwan-i-Am, Diwan-i-Khas and Musamman Burj, the Octagonal tower, where Emperor Shah Jahan, the builder of the Taj Mahal was imprisoned by his son Aurangazeb for seven years and died a prisoner. 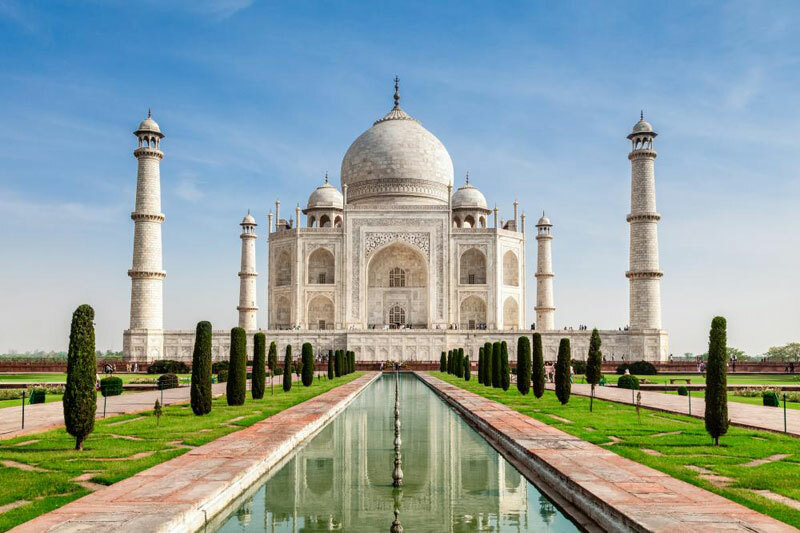 Taj Mahal, (closed on Friday) the inimitable poem in white marble was built over a period of 22 years, by the Mughal Emperor Shah Jahan in 1630, for his Queen, Mumtaz Mahal to enshrine her mortal remains. It is one of the seven modern wonders of the World. Later in the afternoon, leave Agra for Delhi by car (215 Kms / 4-5 hrs drive). Arrive Delhi & transfer to International airport in time to board flight for onward destination. Leave Delhi for onward destination by International flight.